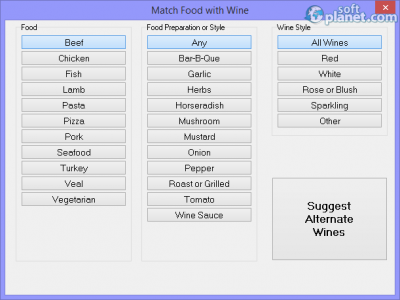 SoftPlanet makes it possible for everyone to get free The Uncorked Cellar download directly from our servers. There is no registration needed for downloading. Are you a wine lover? Do you have a wine cellar? No matter what the answer is you probably know that besides the two main types of wine – red and white, there are many more things that are related to wine. Century after century, many world famous wine makers offer their production to the world and to all wine collectors and connoisseurs. All they need is a way to put their wine cellar collection in order and create a detailed database of all items in it. If you are one of them, then you should sit for a while and take a look at The Uncorked Cellar 2014. 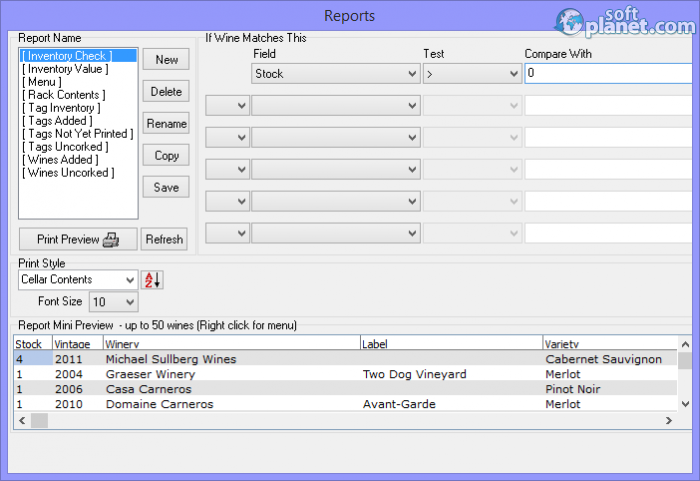 This shareware software is one of the most comprehensive programs for wine information, inventory databases and wine cellar management. It is paid, but a free 14-day trial version can be downloaded and evaluated without any limitations. The only thing that you have to do is register an account on the developer's website, which will give you full access to more than 816 000 types of wine. Some of the app features are: creation and management of wine in multiple cellars; sorting your collection by name, value, location, etc. 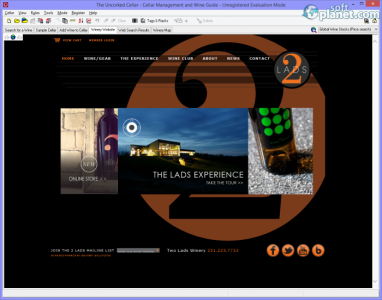 ; access to lots and lots of wine information, locations, and so on. The Uncorked Cellar is a management application and you can wisely use it to create a complete content list of your wine collection. 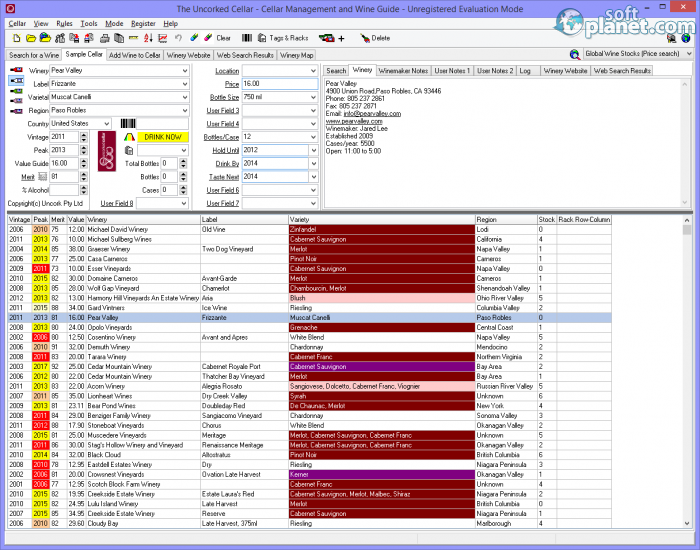 It will be presented in a table form which can be easily managed, modified and customized. 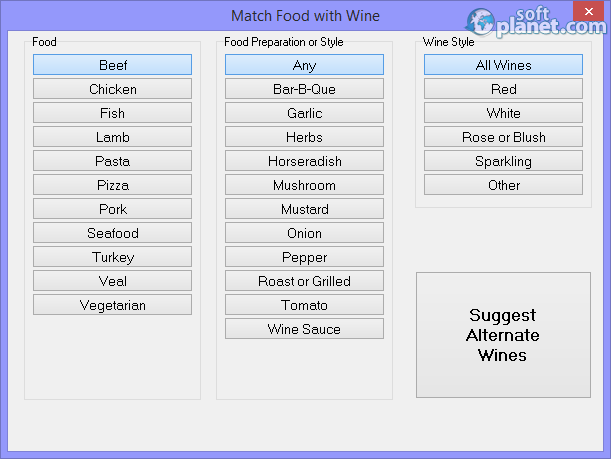 The program interface is especially designed and dedicated to the one and only goal, which is to facilitate you with your wine cellar inventory and provide you with the most recent worldwide wine information. 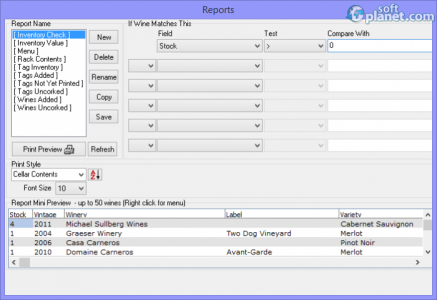 Users can create tabular printed reports that can be customized. On top of that there is a visual rack wizard, transaction logs, automated backup and many graphs showing your bottles, values, peak years, etc. 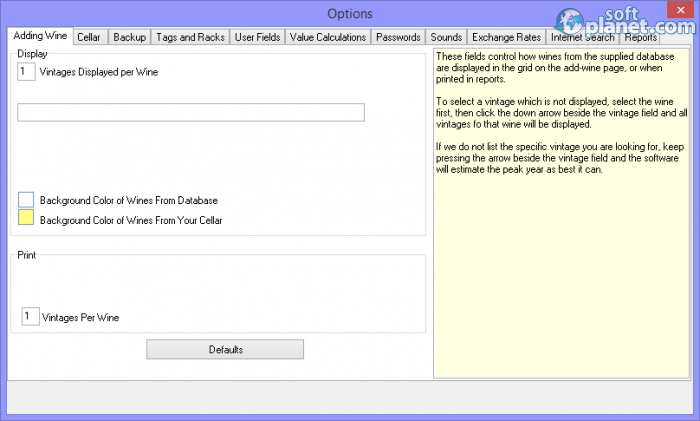 Using The Uncorked Cellar is no different than any other Windows-based application. There is a complete help file that explains all program features, options and functions. 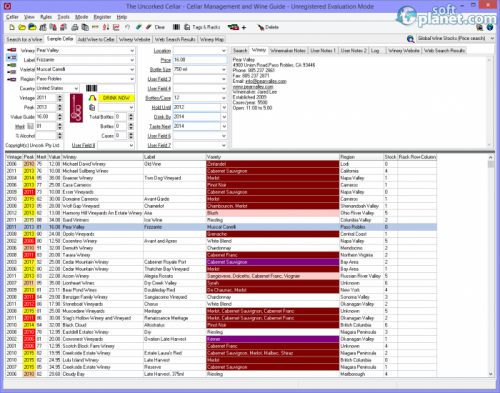 The upper half of the program screen shows all the available fields that users can fill in, edit or create. The bottom half is where your wine cellar inventory listing is shown. The Uncorked Cellar 2014 is not just wine software, it is much more than that. By using it anyone can discover the power of wine and all its characteristics like regions, serving temperature and so on. This app will even show you what the common wine storage problems are, when a certain type wine is at its best and much more. So if we already have your attention, do not hesitate and give this program a try. The Uncorked Cellar is VIRUS-FREE! Our security scan shows that The Uncorked Cellar is clean from viruses. The current version of The Uncorked Cellar has been scanned by our system, which contains 46 different anti-virus algorithms. That ensures that The Uncorked Cellar 2014.01.01.1 is 100% safe for your computer.